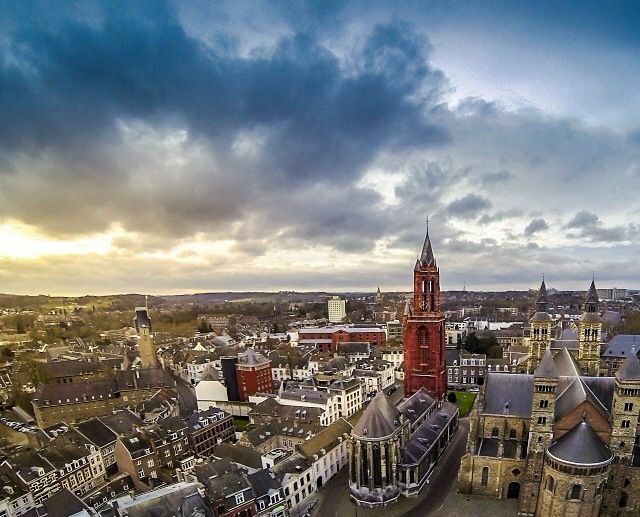 ounded by the Romans, Maastricht is one of the oldest and most beautiful cities in the Netherlands. Although the city embraces innovative science, technology and art, it has been able to hang on to its fascinating past. Its rich history still shines through on every street corner. The city’s love for culture culminates in countless fairs, festivals, parties and performances throughout the year. With its striking modern buildings, 17th century townhouses, cobblestones streets and charming squares, Maastricht is a haven for students and academics, researchers and scientists, expatriates and artists. Furthermore, the city’s green and hilly surroundings offer great opportunities for nature lovers and sports enthusiasts to enjoy walks and bike rides along the area’s many nature trails. Known as the birthplace of the European Union, Maastricht is an international city, welcoming people from a wide range of cultures and backgrounds. Home to over 135 international institutes, Maastricht is only a few hours away from European capitals such as Amsterdam, Brussels, Paris, London and Berlin. With a population of around 120,000, the city attracts countless foreign visitors both for tourism and business. Combine this with the more than 6,500 international students and you will see why the city has a truly international feel.